Well, where do I start? Right from the first time I met Mike, I was greeted in a very polite, professional and courteous manner, which then carried on throughout my lessons. I have enjoyed every lesson with Mike, he has a great teaching style and has a lot of patience when instructing pupils which helps to make you feel comfortable each time. What I liked the most about the lessons was that whenever I made a mistake that could have been corrected, we went back again and did just that. This aided both my confidence and the learning journey. The LD System is fantastic; the Driving Skills workbook covers everything you need to know about driving and includes great examples too! I would absolutely recommend it to others. But most importantly, the fees for each lesson are excellent and worth every penny. It's definitely value for money! 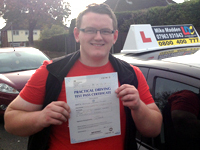 I would recommend Mike and LDC to anyone who is looking to start driving. 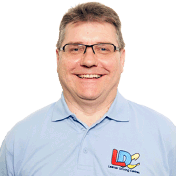 I'm a driving instructor in Luton, Flitwick, Barton Le Clay, Dunstable, Ampthill, Harlington, Harpenden, Leighton Buzzard, Redbourn, St Albans, Toddington, Hitchin and surrounding areas.